'Modi is likely to make more announcements to win or retain popularity, and put himself at the centre of things even more than now,' says T N Ninan. 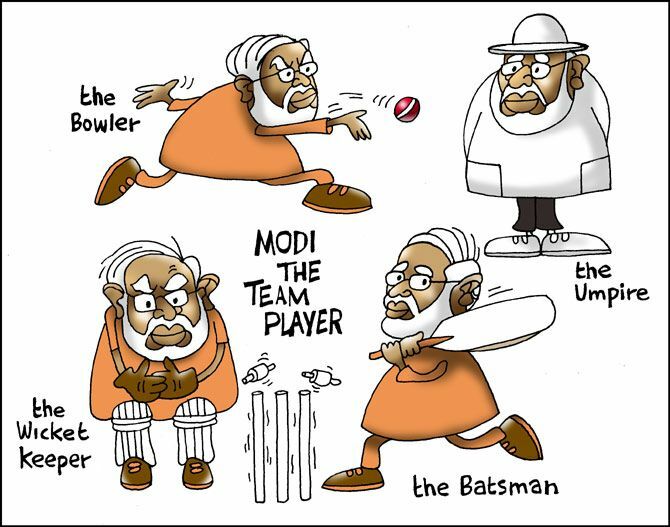 Exactly mid-way through his five-year term, Narendra Modi has changed gears, and possibly direction. Till November, his was an administration seemingly determined to follow a path of sustained incrementalism -- a steady flow of small steps whose cumulative impact would be transformative. Or so it was hoped. Then, with virtually no advance warning, Modi launched a 'big bang' initiative, bearing the stamp of bold radicalism that many observers had expected of him from the beginning of his administration. Undeterred by widespread criticism of the poorly executed, disruptive step, Modi has made typically exaggerated claims and also promised a follow-through attack on benami property. This too could be potentially disruptive in a country with poor land records and plenty of property transfers done through power-of-attorney arrangements. But India's strongest prime minister since Indira Gandhi is intent on his anti-corruption crusade. Demonetisation was a surprise, but Modi during his election campaign had promised to root out corruption. There were two earlier attempts at unearthing illegal cash -- one directed outside India and the other within the country. Neither yielded great results, and Opposition spokesmen took to reminding Modi of his campaign promise to distribute unearthed cash among millions of ordinary Indians. Demonetisation is his over-the-top response; the official expectation was that unreturned currency would yield the government a bonanza. That did not materialise, but a pay-off may yet come in the form of tax on money that has surfaced in bank accounts. That's the simple reading of events. There could also be a more complicated story unfolding. Modi came to office on the back of the promise of 'good days' and transformative change. He has certainly applied himself to the task with laser like focus. creating thousands of ports as part of an inland waterways transport system, and much more. Simply reading the list is exhausting. There is almost no month that has gone by without a fresh announcement, often with typical fanfare at public meetings. 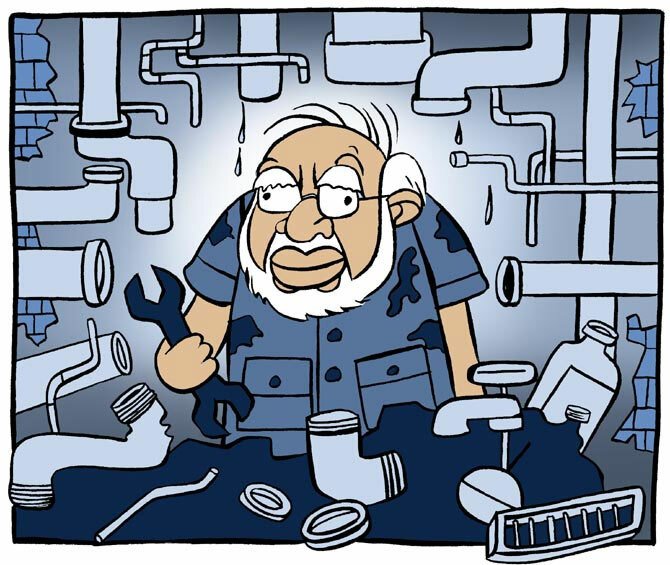 Admittedly, many of the initiatives (like Make in India) are a re-packaging or expansion of existing programmes, but it is doubtful whether any government has been quite so beaver-like, as ambitious in scaling up targets, or worked harder at improving execution, though with an attendant degree of centralisation in government functioning that cannot be a positive development. 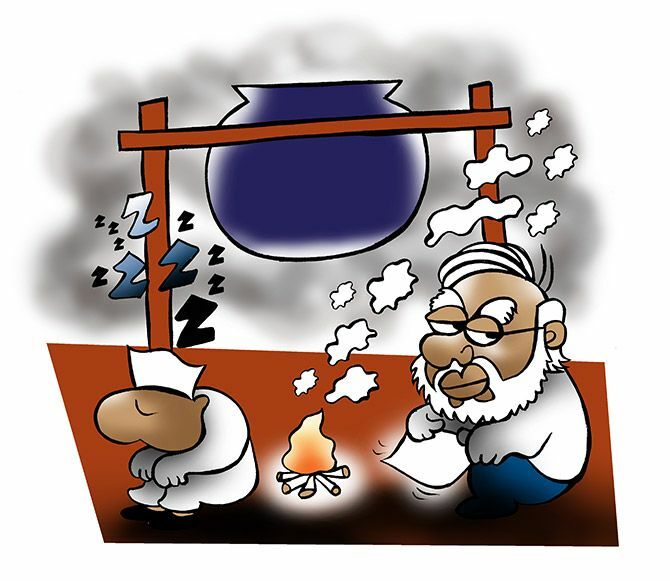 Still, no prime minister since Jawaharlal Nehru has used public platforms to continuously sell the logic and the benefits to flow from the work of the government more resolutely than Modi. Not for him the reticence of P V Narasimha Rao, Atal Bihari Vajpayee and Manmohan Singh. And yet, halfway through the life of this relentless government, almost none of it has made much of a difference that one can see and feel. Indeed, many of the initiatives have run into sand -- like the Indradhanush package for government banks. There has been little movement on the Ease of Doing Business ranking, the 130th position is still a far cry from the target of 50. The Jan Dhan bank accounts were mostly inoperative till the demonetisation. Digital India has made patchy progress, and the reality of the highway construction programme is way short of ministerial bombast. Most Swachh Bharat toilets are reported to be not in use. And Make in India can't be making much progress if industrial investment has shown no uptick. While there are two years to go before the fever of the next election catches, the outlook on delivery matching promise is less than promising. In terms of the overall economic picture, investment in fixed capital has continued to decline in relation to GDP, dropping to levels last seen over a decade ago. Total exports (crucially, non-oil exports, too) will be lower this year than in 2013-2014. The rate of economic growth has been creditable, especially in the context of two drought years, but there is nothing on the horizon to herald the double-digit growth rate that was promised in the initial burst of optimism. Credit growth has declined steadily, the corporate debt overhang has not got better, and the banks need more capital than had been estimated. The stock market reflects the drift, with the leading stock indices lower at the end of 2016 than two years earlier. The worrying fallout of the tepid economic performance has been the jobs agitation by important caste groups in different states. Modi is the most astute and able politician of his generation. As he has reviewed project after project in his monthly video conferences (dubbed Pragati) with department heads across the government, he cannot have failed to see that the import component in defence equipment is not about to be halved, Smart Cities have not turned out to be the transformative story he might have hoped for, and GST has been stymied. In general, the story of a steep jump in economic performance, which Modi might have planned to sell to voters in 2019, was looking like a narrative that would not hold. As the Chinese would say it, this has been so far a case of loud thunder, little rain. Against this frustrating backdrop, it might have become obvious to Modi that the time for incrementalism was over. The political narrative had to be redefined and reclaimed. He could have chosen to go down the communal route to political mobilisation. Instead, he has taken a surer path, tried and tested before by Indira Gandhi: Populism. 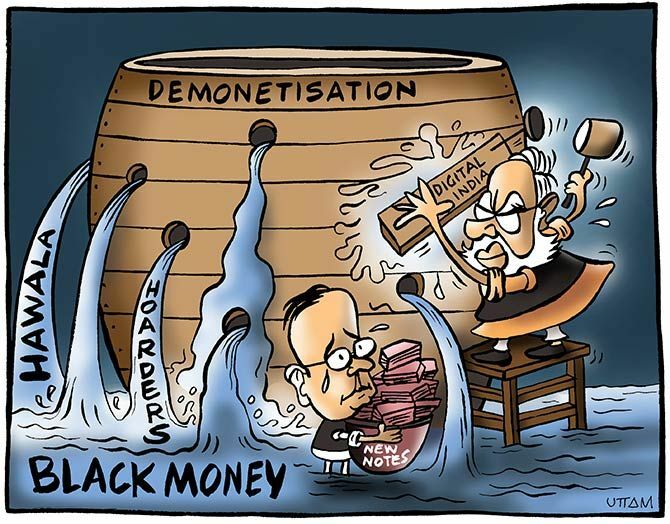 His vehicle of the moment, demonetisation, was always an option at the back of Modi's mind, planted there by the head of the Pune-based Arthkranti Pratishthan back in 2013 and something that Modi subsequently discussed with more than one interlocutor. As a tool for entrenching Modi's positioning as a campaigner against corruption -- an issue on which the Congress and many regional parties would be on the backfoot -- it had a unique appeal, especially if one considered a Robin-Hood-style plan to take from the rich and give to the poor. 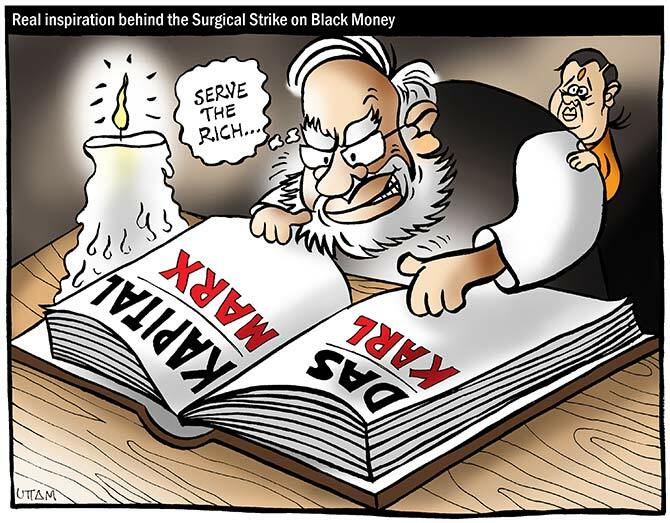 It would pit the common man against the 'corrupt elite', the Opposition and critics could be de-legitimised as defenders of the corrupt, or simply anti-national -- and would be vulnerable to tax raids, as already seen. Most important, it would set Modi on a course that is a surer bet than trying to sell a second time the same narrative of hope and change, amid non-existent jobs. A surer bet because a populist's appeal is based as much on emotive perception as on reason: Indira Gandhi did little to improve the life of the poor, but she is remembered as their champion. It does not matter that demonetisation is neither the least-costly nor the most effective way to tackle black money; nor does it matter that pushing digital payment systems can be independent of demonetisation. It is also of no consequence that no economy in the world is free of a black component, and that the majority of transactions in most economies are in cash. Simply attacking the longstanding problem of illegitimate wealth earns credit points. Can anyone be opposed to tackling corruption, any more than a US voter can oppose 'making America great again'? The bonus is that the drama of tax raids provides good theatre -- as V P Singh realised 30 years ago. 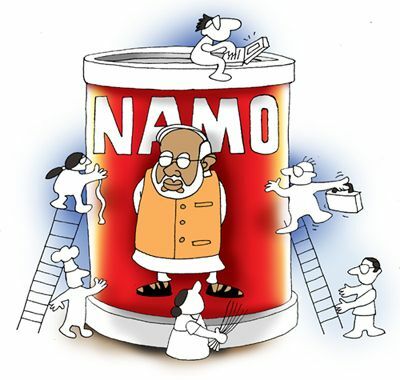 Modi has prepared the ground for his plunge into populism by using the last 31 months to forge a strongman system of government, radically different from what had gone before: Democratic for sure, but very prime minister-centric, operating through hand-picked officials in key slots. Typical of the way such systems evolve, many critics have muted their voices or switched allegiance. Now Modi is slipping into the mould of a classic populist, joining the company of Donald Trump, Turkey's Recep Erdogan, Russia's Vladimir Putin, Venezuela's Hugo Chavez, and Hungary's third-term prime minister, Viktor Orban, who says that he wants to abandon liberal democracy in favour of an 'illiberal State' because a liberal system cannot be competitive. Populists tend to follow a standard playbook. A populist positions himself as the political outsider, railing against the elite even as he expresses the frustrations and resentments of the common man. He seeks a direct leader-follower relationship, bypassing or over-riding the established intermediaries of party and institutional structures. Usually a charismatic demagogue, he attacks unworthy outsiders who are often minorities (immigrants for Trump). Contesting viewpoints are non-legitimate, and therefore the opposition is seen not as an essential part of democracy but as people who should not be criticising the government, and may be anti-national. A populist usually operates an effective propaganda machine, puts pressure on civil society and seeks to control the media, centralises power, and tends to be authoritarian. If required, he will weaken the institutions of State or re-write the Constitution, and is not above organised violence. Many of India's chief ministers have followed much of this playbook within their limited spheres, so India already has a minor tradition of autocratic rule. The default political tool is clientelism, a patronage system in which political support is sought in exchange for material benefits. It could take the form of a subsidy or cash benefits, jobs for the boys, more money for supportive states, tax and other benefits for the businesses of favoured friends, expropriation for others. All of these have a familiar history in India from Indira Gandhi's days. But clientelism is also associated with corruption. One example is the Vyapam scandal in Madhya Pradesh, though the more common practice is siphoning off government handouts. As should be clear, Indira Gandhi was India's original populist. Most of the above also describes the careers of Orban, Putin and the others. What Modi's career so far has an uncanny resemblance to is Erdogan's. Modi sold tea at a railway station, Erdogan sold lemonade and sesame buns. Modi's real schooling was in the RSS, while Erdogan studied for some years in a religious vocational school. Modi spent time doing backroom organisational work; Erdogan spent his apprenticeship years in the Islamist Welfare Party that was subsequently banned for violating the separation of church and state mandated by Turkey's constitution. Modi made his reputation as chief minister of Gujarat, Erdogan as mayor of Istanbul. Modi faced ostracism for a while on account of the post-Godhra riots; Erdogan was jailed and banned from holding political office for some years. Modi has crystallised the aspirations of a nativist elite that is displacing a more Westernised set of Nehruvian inheritors; Erdogan has done the same by creating political space for a rising, Islamist Anatolian identity (the Asian part of Turkey) quite different from Ataturk's inheritors, a secular elite. Modi runs an opaque, centralised system, while Erdogan after starting out as a widely appreciated reformer has become steadily more autocratic. At some of his public rallies, Modi has come close to saying something similar. But even populists like Putin usually remain democrats, for they like an expanded diplomatic footprint abroad on the strength of electoral endorsement at home, even as they crack down on opponents. If Modi is indeed set on a populist course, he is quite likely to plunge deeper into his self-styled battle against corruption, make more clientelist announcements to win or retain popularity, and put himself at the centre of things even more than now. Populists do face setbacks and taste defeat (like Orban), but they make comebacks and usually enjoy a long-ish ride -- Chavez ruled for 13 years, Putin has been at the helm for even longer, while Erdogan and Orban have done multiple terms in office. Modi could do the same. In the new age of populism, India's man-of-the-moment is in sync with the multi-country revolt against a liberal order and neo-liberal economics.